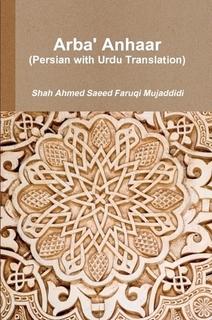 Asbāt al-Mawlid wal-Qiyām, Urdu translation with Arabic text, written by Shah Ahmad Saeed Mujaddidi, published by Maktabah Mujaddidiya, November 2015. A short text on the validity and merits of Mawlid celebration. Tahqeeq al-Haqq al-Mubin, by Shah Ahmad Saeed Mujaddidi, in refutation of the Wahhabi book called Masail-e Arbaeen. Saeed-ul-Bayan Fi Mawlid-i Sayyid il-Ins-Wal-Jaan (Urdu) is a wonderful book about the Mawlid of the Prophet Muhammad (sallallahu alaihi wasallam), authored by Hazrat Shah Ahmad Saeed Mujaddidi Faruqi Mahajir Madani (d.1277H). 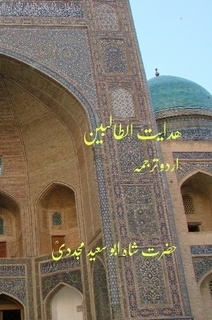 Risail Milad-e-Mahboob is a collection of short writings of famous Sufi shaykhs on the validity and virtues of Mawlid celebrations (Milad-un-Nabi s.a.w), some in Urdu and others translated. Tahqeeq-ul Haqq-ul Mubeen Fi Ajwibat Masail Arbaeen, originally in Persian and translated in Urdu, is a book written by the great Naqshbandi master and shaykh of 19th century Shah Ahmad Saeed Mujaddidi Madani (1217-1277). It was written to refute the book Masail Arbaeen of Shah Muhammad Ishaq Dehlavi who was one of the founders of Indian Wahhabism. This book is an evidence to the struggles of Naqshbandi Sufi masters against the Wahhabi movement and sectarian preaching in India. A short book on the validity of the practice of Mawlid in Islam, written to refute the claims of Wahhabi scholars who denied Mawlid being Islamic. This is an exact reprint of the original manuscript in the handwriting of the author.